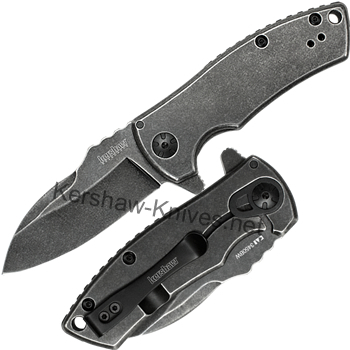 Kershaw Spline 3450BW. The spline is designed by Les George, who knows how to show off an artistic beauty with his knife designs. Spline, by definition, is a numeric function that defines a curve. This knife has plenty curves in all the correct places. See the nice grooved lines on the spine of the blade, that helps to keep your fingers from sliding, when you are cutting down. 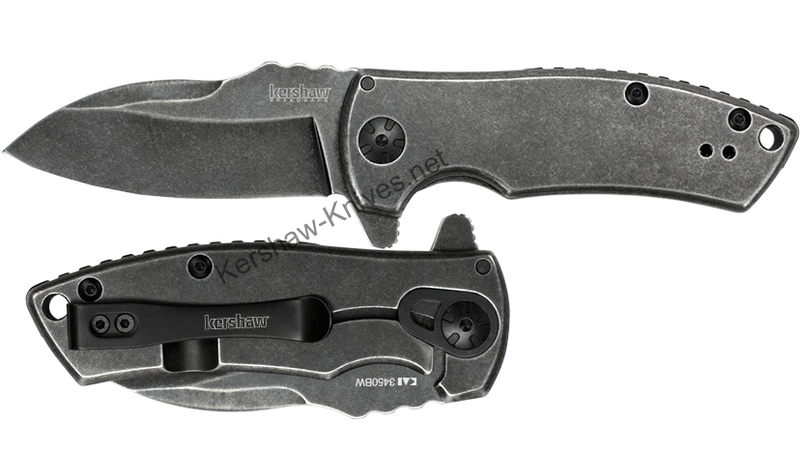 Open this up easy with the flipper- one hand easy with the Kershaw SpeedSafe assisted opening. There is a lanyard hole on the end of the handle and the the black pocket clip can be changed from left to right carry. The blade is made of 8Cr13MoV steel and is 2.9 inches long. 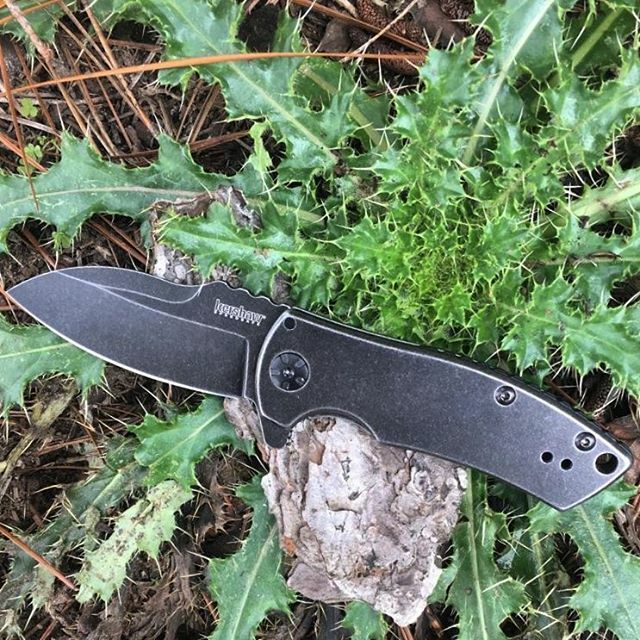 Both the blade and handle is covered with the Black oxide BlackWash finish, this is great to help hide and prevent everyday use scratches that are bound to happen. Width of handle is one inch- this will fill your palm of the hand very well. So as you can see, curves in all the right places equals one good knife- the Spline.